Maker “theguymasamato” and his kids have amassed a large number of trading cards, so much so that organizing and sorting them is quite difficult. In order to help with this job, he’s building a sorting machine. 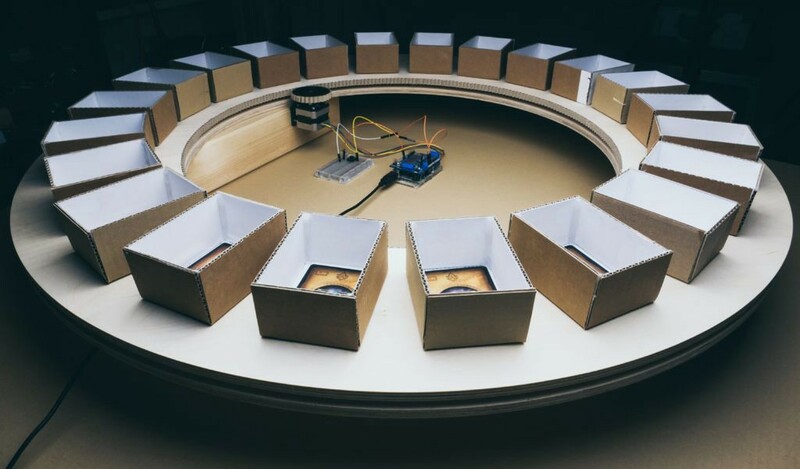 He previously created a card feeder mechanism, and in part two of this ambitious project, he’s come up with a lazy susan-like device to place the cards in 22 separate rectangular holders made out of cardboard. This is meant to accommodate the 21 sets of cards in the Wold of Warcraft universe, plus an extra container for unidentified cards. The machine is constructed out of wood, and turns with the help of steel balls to reduce friction, forming a sort of gigantic thrust bearing. A stepper motor powers the rotating surface, with cardboard strips formed into gear teeth to interface between the two. An Arduino Uno, along with a motor shield provides control, and when fully implemented, the device will use a homing sensor to ensure the correct tray is in place under the feeder mechanism. While an impressive display of cardboard craftsmanship, the assembly will still need to be integrated with the feeder, plus a method of identifying the cards. It will be interesting to see it come together, and as of now, it’s great reference material for any projects requiring a large turntable. 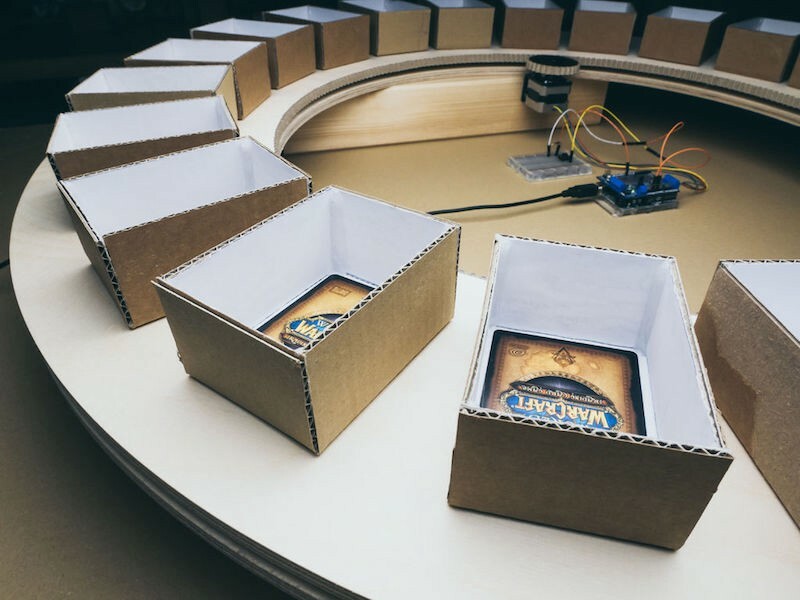 Trading Card Sorting Turntable was originally published in Hackster Blog on Medium, where people are continuing the conversation by highlighting and responding to this story.